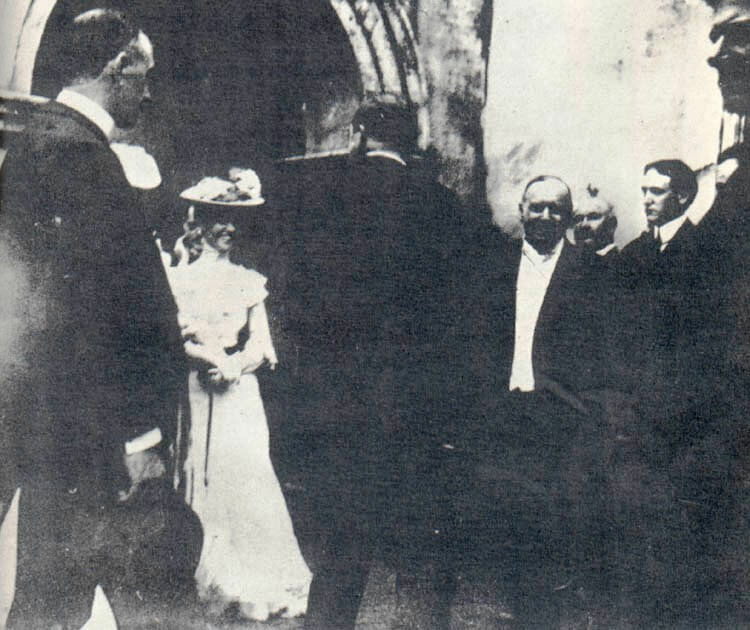 President McKinley Greeting Well-Wishers at the Temple of Music minutes before he was shot. Library of Congress. Photos provided by Michael J. Nighan. In John Wilkes Booth Slept (and Slipped) Here, Michael J. Nighan began a series on presidential assassins who were in Rochester. As carefully catalogued by Nighan, Booth was here for an extended theatrical performance in 1861. Today Nighan looks at Leo Czolgosz. 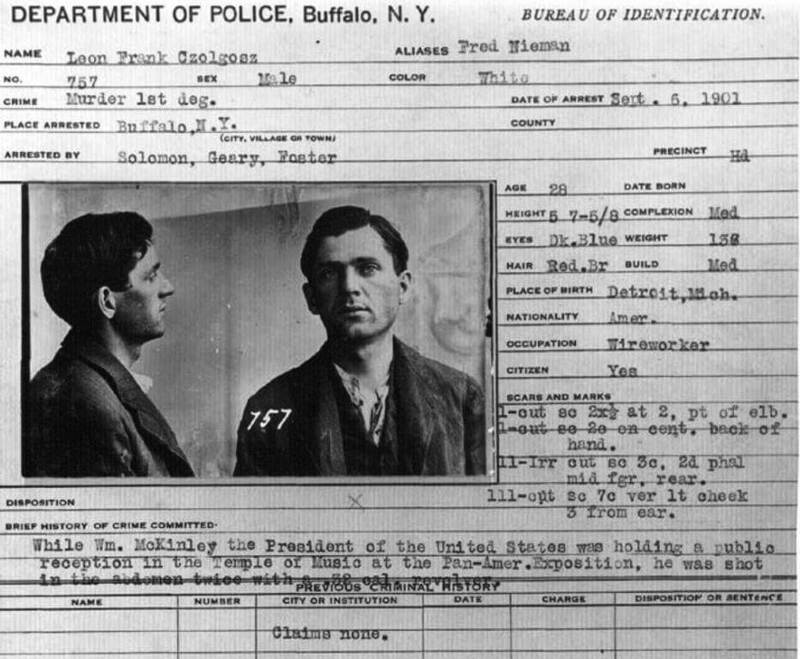 Czolgosz — McKinley’s assassin — was only in Rochester briefly while en route to his execution. Nonetheless, after scouring the archives at the Local History Department of the Central Library, Nighan found references to Czolgosz’s dramatic stop at Central Station. And, Nighan’s story of the connection between Czolgosz and Emma Goldman — a woman with deep historical roots in our community — adds to our understanding. As per usual, Nighan compliments the assiduous work of the librarians at the CPL. 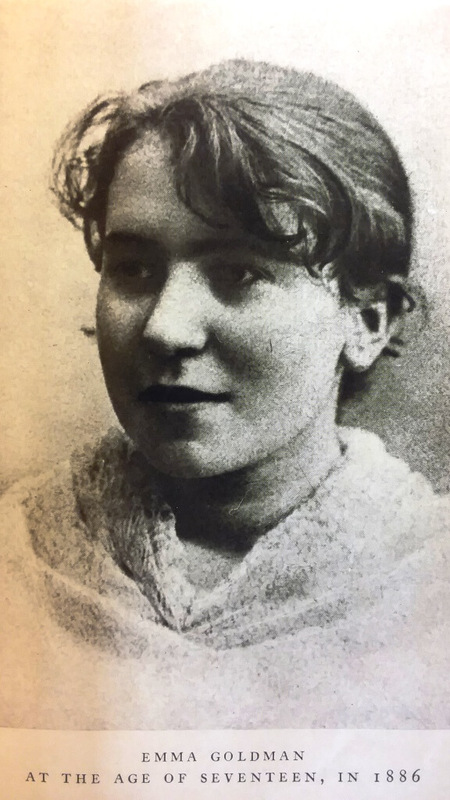 I am an Anarchist –a disciple of Emma Goldman. Her words set me on fire. William McKinley loved to shake hands. He once said he loved it even more than giving speeches. In the endless public reception lines presidents were required to endure, his secret weapon was the “McKinley grip”. He’d beat male guests to the punch by quickly reaching out, grasping their right hand, giving it a short squeeze while holding their elbow in his left hand, all the while gently pulling the man to the right as he quickly let go to greet the next guest. This was how he was handling matters on September 6, 1901 during a reception at the Temple of Music on the grounds of the Pan American Exposition in Buffalo when he turned to greet a young man whose right hand appeared toe wrapped in a handkerchief. As McKinley reached to shake his left hand, the man suddenly stepped forward and fired two shots into the president’s abdomen from a revolver concealed under the handkerchief. 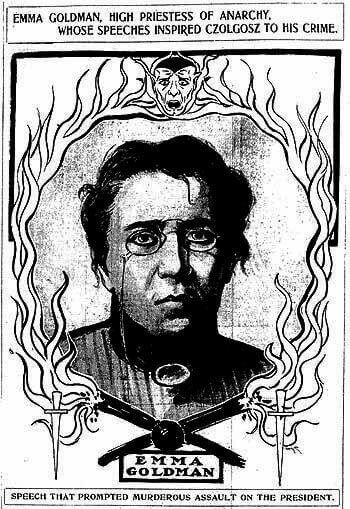 Eight days later McKinley was dead and the young man, Leon Czolgosz, was on his way to his trial, to his execution, to his only known stop in Rochester, and to being linked to former Rochester resident “Red Emma” Goldman, the Most Dangerous Woman in America. Justice could be swift in those days. McKinley was shot on September 6. Czolgosz signed a confession that same day. The president died on September 14. The trial began September 23 (Czolgosz was not permitted to plead guilty) and lasted only until the next day, resulting in a verdict of guilty and a sentence of death, the sentence being carried out at the state prison in Auburn on Oct. 29. McKinley’s assassination came at a time when leaders around the globe were falling victim to the actions of Anarchists (anarchy in the political sense being a belief that all forms of governmental authority were unnecessary and undesirable and should be swept away to be replaced by individuals and groups functioning via free associations and voluntary cooperation). To achieve that end, the late 19th. Century saw a rising tide of political assassinations carried out by members of the radical fringe who espoused leading by taking action (the “propaganda of the deed”) to merely writing and talking about creating their version of utopia. Thus, between 1878 and McKinley’s assassination, anarchists had twice tried to kill the German Kaiser, and had assassinated the president of France, the Russian Czar, the King of Italy, the Empress of Austria-Hungary, and the prime minister of Spain. 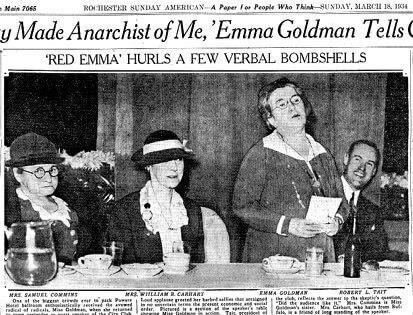 So it came as no surprise to many that during police interviews following his arrest, Czolgosz claimed he had been influenced by “Red Emma” Goldman, America’s leading anarchist (and a one-time resident of Rochester where her family was still living). Sadly, things in Rochester remained bleak and cold for Emma. Having worked in a garment factory in Russia, Goldman went to work at a sweat shop, Garson, Meyer & Co., where she was paid $2.50 a week to sit at a sewing machine 10 ½ hours a day, six days a week. Here she learned that, while the facilities were better than those she had labored in in Russia, the work was harder and the shop was run by an iron hand with no freedom for the workers. Not surprisingly. Goldman had frequent conflicts with management. Following a meeting with Mr. Garson where her request for a raise was coldly rejected with the comment, “If I raise your wages, I’ll have to raise the others’ as well and I can’t afford that!” (words which rang hollow with Goldman given that Mr. Garson’s desk held a large vase containing American Beauty roses which she had previously learned cost a dollar and a half each). Unwilling to be further taken advantage of, Goldman quit and soon found a job at another shop for four dollars a week. In her limited free time, Goldman began to attend socialist meetings at nearby venues such as Germania Hall in today’s Corn Hill neighborhood. “The gatherings were generally uninteresting”, she later commented, “but they offered an escape from the grey dullness of my Rochester existence…and one met people of spirit and ideas”. Another escape, albeit a short-lived one, was a marriage which quickly ended in divorce, followed by a reconciliation and a rapid second divorce, actions which led to Goldman being ostracized by many in her family and by the local Jewish community. Seeking wider fields for her growing political and social awareness, Goldman, with five dollars in her pocket and her sewing machine under her arm to ensure she would be able to find work, left Rochester for New York City in August 1889, beginning the career that would make her one of the most loved and hated figures in America. Explaining later her decision to leave all that was familiar in Rochester for the unknowns of New York, Goldman wrote that, “It was too provincial to permit an interesting life…All that had happened in my life until that time was now left behind me, cast off like a worn-out garment”. Following the loss of his job as a steel worker in the Crash of 1893, Leon Czolgosz, 28 years old at the time he shot McKinley, had been unable to find a steady job. Like tens of thousands of similarly situated workers, Czolgosz gravitated toward socialism and its promises of a better and fairer tomorrow. Becoming increasingly radicalized, he soon began reading anarchist literature and frequenting their meetings. Following the meeting, Czolgosz approached Goldman and asked her to recommend further reading material. A few weeks later in Chicago, now using the alias “Fred Nieman”, Czolgosz turned up on Goldman’s doorstep asking to speak to her. 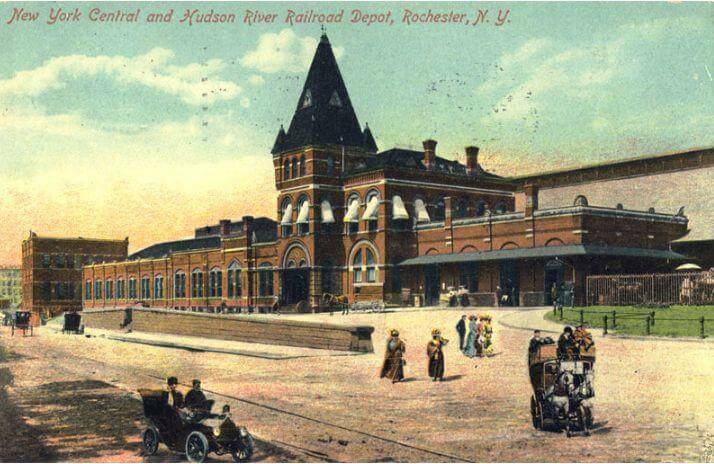 In a hurry to catch a train to visit her family in Rochester, Goldman asked “Niemen” to accompany her and some friends to the railroad station so they could talk along the way. Over the next few weeks Czolgosz asked so many questions, expressed so many ill-informed opinions, and spent so much time at anarchist meetings that he was suspected by several leaders of being a police spy. It didn’t help that he kept talking about an unnamed “great deed” that he was planning to perform to show his devotion to the cause. Using funds obtained from his father, Czolgosz traveled to the Buffalo area in July and August where the Pan American Exposition was in full swing. Oddly enough (not odd at all to later conspiracy theorists) Czolgosz was in Buffalo during the period when Goldman and her relatives traveled from Rochester to the exposition. No proof of the pair meeting was ever forthcoming. Following his arrest for shooting McKinley, Czolgosz was immediately interrogated. Believing the president was dead, he signed a confession which read, “I killed President McKinley because I done my duty. I didn’t believe that one man should have so much service and another man should have none”. At this time he first mentioned that he’d been influenced by Emma Goldman; “her doctrine that all rulers should be exterminated was what set me to thinking so that my head nearly split with pain. Miss Goldman’s words went right through me, and when I left the lecture I had made up my mind that I would do something heroic for the cause I loved”. This evidence that Goldman might be involved caused the Buffalo police to launch a national hunt for “Red Emma”. Her family was placed under surveillance and the Democrat and Chronicle complained that Rochester now had, “the melancholy distinction of being the home city of the high priestess of the cult of destruction”. Goldman was in St. Louis when she heard that McKinley had been shot. Soon thereafter, with photos of Czolgosz appearing in the newspapers, she realized that this was the man she had known as Fred Nieman. Traveling to Chicago under an assumed name, Goldman was arrested by the police, subjected to several days of the “third degree”, including a punch in the face that cost her a tooth. With threats of lynching pouring in from all over the country, Goldman, always more honest than common sense might dictate, explained that she did not mourn McKinley’s assassination, “Is it possible …that in the entire United States only the president passed away on this day? Surely many others have died at the same time, perhaps in poverty and destitution, leaving helpless dependants behind? Why do you expect me to feel more regret over the death of McKinley than of the rest?” To the disgust of many, she was eventually released for lack of any evidence of her involvement with McKinley’s assassination. Back in Buffalo, represented by council who found little they could do for a client who kept admitting his guilt, from the witness stand Czolgosz explained that “I don’t believe we should have any rulers. It is right to kill them”. Czolgosz then related that he had actually tried three times to assassinate McKinley but that the first two attempts had failed when he was unable to get close enough to the president to shoot without hitting innocent bystanders. Stating that, “I had no confidants-no one to help me. I was alone absolutely “, he responded to the district attorney’s question, “Did you really intend to kill the president?” with a simple, “Yes, I did.” Not surprisingly, after less than an hour of deliberation, the jury returned a verdict of guilty of first degree murder. Two days later, they handed down the sentence of death. Following the conclusion of the trial, it was decided by the court that Czolgosz should immediately be transferred to Auburn State Prison. A death warrant was quickly drafted instructing the warden that the punishment of death was to be “inflicted by application of electricity”, no later than the week of October 28. Fearing a possible lynch mob, just after 10:00 pm on Thursday, Sept. 26, Erie County Sheriff Sam Caldwell, jailer George Mitchell and 13 deputies removed Czolgosz in secret from the county jail and hustled him aboard Car 1509 of the New York Central Railroad, which was then quickly moved to the main line and hooked to the end of a scheduled passenger train bound for Rochester and points east. The car, having been well-stocked with sandwiches, pickles, cheese and cigars in preparation for the five hour trip, was then locked, the windows fastened shut, and the shades drawn to thwart any attempted assassination of the assassin. Secrecy however didn’t extend to the press, and representatives of several newspapers were also on board, having been given permission to interview Czolgosz along the way. Just before 3:00 am Czolgosz’s car arrived at Auburn where a mob estimated at 1,500 people blocked the walkway to the prison. According to newspaper accounts, cries of “Kill him!” filled the air as Sheriff Caldwell, jailer Mitchell and the deputies formed a ring around Czolgosz. Bolting from Car 1509 with night sticks swinging, they made a mad dash for the prison gate, slowing down as the mob closed in, trying and get hold of the assassin. Mitchell later claimed that he had to drag a shocked and cowering Czolgosz, “like a bag of salt” through the gate which was forced shut in the faces of the angry vigilantes. Czolgosz would remain in solitary confinement at Auburn until his execution on the morning of Oct. 29. Following his execution, Leon Czolgosz’s body was doused with sulfuric acid and reportedly buried in an unmarked graveyard on Fitch Avenue outside Auburn prison, along with other executed criminals. Before the end of the year, Thomas Edison’s movie company used his new cinematic technology to capitalize on McKinley’s assassination, filming a graphic re-enactment of the execution, released to the public under the title, “Execution of Czolgosz with Panorama of Auburn Prison”. In October, following her release by the police, “Red Emma” immediately generated even more public outrage and hostility by publishing, “The Tragedy at Buffalo“, in which she compared Czolgosz to Caesar’s assassin Brutus, and called McKinley the “president of the money kings and trust magnates.” This earned her the condemnation of many anarchists who saw her apologia for Czolgosz as harmful to their cause. Goldman continued to visit Rochester on a regular basis, giving anarchist and radical social lectures here and across the country to tens of thousands of listeners. In December 1919, after opposing America’s WWI draft and lecturing about the glories of the Bolshevik revolution in Russia, she, and 248 other “radical aliens”, were deported to that country. In short order, her real life experiences there resulted in her becoming a blistering critic of communism. In 1999, “Red Emma” returned to Rochester in spirit when Midtown Plaza hosted an exhibit on her life and career. Minor correction:Current Amtrak Station sits one block east of the New York Central Station of the time. St. Paul/Clinton/Central station location from 1882 to 1914. Clinton/Joesph/Central station location 1914-1977 (about 2/3 was torn down in 1965), Then first Amtrak Station 1978-2015. Second one 2017 to present.